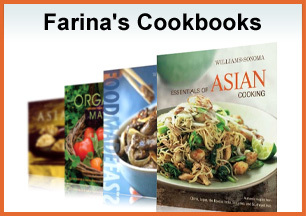 I’ve had a whirlwind of a week in New York, getting the word out about my Farina’s Asian Pantry app update just released on the iTunes App store. We made it easier for users to download all 16 videos quickly and have upgraded visuals to support the new iPad Retina Display. 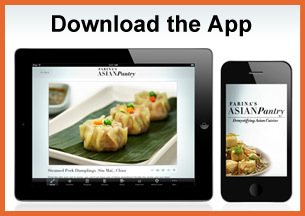 The app contains 68 recipes, and almost 200 high quality photos to help you make mouthwatering Asian dishes in your home. It was great to meet up with some fellow foodies and get the chance to chat about my tools for making Asian easier to cook at home. Our discussions included my Asian Pantry Kits, which make it easy to shop for all the hard to find Asian ingredients needed. 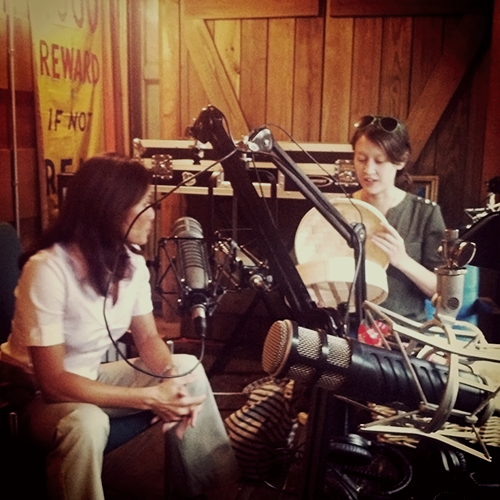 My week started off with venturing over to the ever hip and happening Heritage Radio at Roberta’s Pizzeria in Brooklyn, to meet New York food blogger Cathy Erway of “Not Eating Out in New York” and radio host of “Lets Eat In” on Heritage Radio. Be sure to check out Cathy’s blog, and listen to an excerpt of my interview with her on “Lets Eat In” (the player is at the bottom of the page). It was inspiring to meet a fellow ‘happa’ who’s extremely knowledgeable and encourages her audience to cook more at home. Of course, we made a point to share an amazing pizza from Roberta’s in the studio, while chatting about essential Asian pantry ingredients. 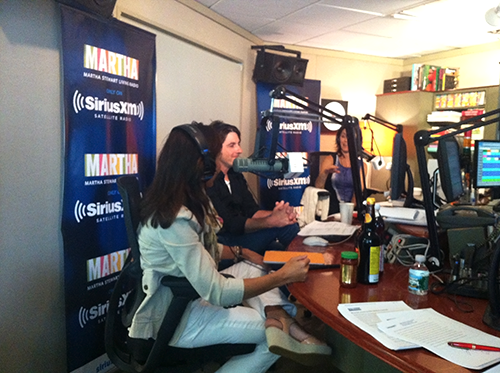 Then, I was off to Sirius Radio to do a show hosted by Betsy Karetnick and Brian Kelsey on Martha Stewart Living Radio. Leave it to Martha to choose such a sharp and charismatic team to share tips and pointers about everything you could possibly need to know, from food, to gardening. 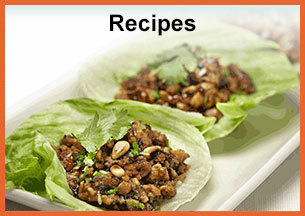 Betsy and Brian made me feel right at home as I shared some ways to incorporate Asian ingredients into easy and healthy recipes for the summer. To finish off a great week, I was fortunate to meet “New York Radio’s First Lady”-Joan Hamburg of WOR Radio. 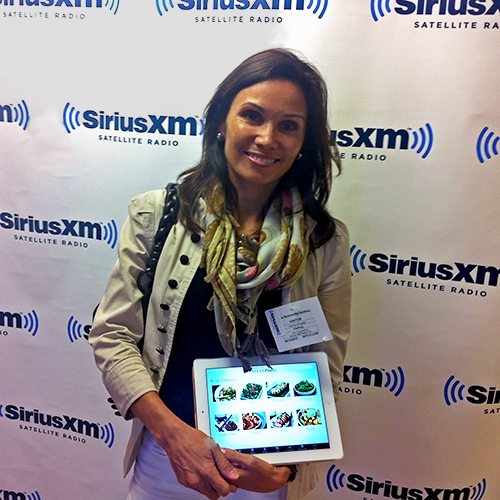 Her show is nationally syndicated, similar to a radio version of the “Today Show”, with her broadcasts including the day’s news, food and restaurant features, and celebrity interviews. We had a lively chat about the changing view on Asian food, how the views of Asian food as greasy take out are gone, and replaced by the reality of a fresh, vibrant, and healthier way of adding flavor to your meals. You can listen to my interview with Joan here, and make sure you view my recipe for ginger-soy steamed fish on WOR’s website. Take a look at Part 2 of my behind the scenes video with ABC’s Aaron Katersky on my youtube channel, where we cook (and eat!) my Thai Green Coconut Curry. Be sure to check out my previous blog post for Part 1 of the video, where we prep the ingredients, and for my interview with Aaron on Slacker Radio. Now my summer vacation really begins…heading off to Charleston, SC for a girls trip with my mother and daughter, then finishing my holiday in Paris and London for the Olympics. Check in soon!